For several years, one of the darlings of the corporate philanthropy fan club has been TOMS. And for good reasons. TOMS is the handiwork of Blake Mycoskie, a young entrepreneur whose business model put a new spin on corporate social responsibility. Mycoskie has built a company that is winning both sales and hearts by the buy one/give one model. Initially, it was TOMS Shoes. Mycoskie got the idea for TOMS Shoes when he visited Argentina and saw many children who had no shoes. At the same time, many adults in that country were wearing a very simple yet comfortable shoe that caught Mycoskie's eye. Mycoskie's company, TOMS Shoes, adopted that shoe​ style produced it in many styles and colors, and promised customers that for every pair of shoes they bought, another pair would go to people in need. Mycoskie's idea took off to such an extent that TOMS has dropped the “shoes” from its name and built a merchandising behemoth, has now expanded into sunglasses, coffee, the purchase of which provides water where it's needed, and other social entrepreneurial enterprises. The TOMS giving universe keeps on expanding and now includes nutrition, healthcare, and education. TOMS has also been emulated by many social entrepreneurs. Warby Parker that sells affordable eyeglasses online with the buy one / give one model may be the most well-known example. There's also quirky Out Of Print that donates books when it sells its clothing line featuring out of print book designs, And there is Figs, a producer of clothing for healthcare workers, giving matching "scrubs" to healthcare professionals in developing countries. More recently, we've seen Bixby, for backpacks and lunchboxes; Bombas for socks; and Twice as Warm for hats, tops, and scarves. Ride a Trend: TOMS just happened to intersect with the rise in consumers who have become more conscious about their spending. They are willing to spend on consumer goods that also do some good in the world. As of writing, the latest Cone Communications CSR study revealed that 63% of Americans (perhaps giving up on government action) hope that businesses will lead to social and environmental change. Furthermore, 78% want companies to get involved in social justice issues. As for buying power, 87% of consumers say they will purchase a product because a company got involved with an issue they cared about while 76% say they would refuse to buy a company’s products or services if it supported an issue they thought was wrong. The rising popularity of cause-related marketing has been spectacular, benefiting many causes as well as helping companies polish their reputations as good corporate citizens. TOMS rode that trend to spectacular success. TOMS also fits with another trend taking place in the nonprofit world. That is the move toward social entrepreneurship within a nonprofit setting. TOMS resembles in many ways the characteristics of organizations described in Crutchfield and Grant's book, "Forces for Good." Those groups are called "high impact" organizations. TOMS could be the commercial equivalent of those social good organizations. Bake in the Good: TOMS goes beyond what other companies do. It is founded on the premise that sales equal the good done. Mycoskie has said, "...we know every day that we're going to give away one pair of shoes for every one we sell, and that's that. If we can't make the business work that way, then the business just doesn't work." Build in Sustainability: The model for TOMS is a self-feeding loop. Mycoskie has made the assertion, "If I would've taken half a million dollars and just bought shoes to give to the kids, I would've been able to give the shoes once. It never would've been as far-reaching and sustainable as TOMS Shoes is now." 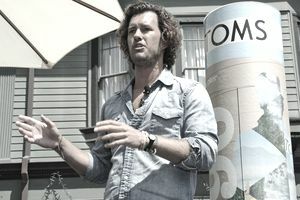 Give Employees a Reason to Be Proud: Mycoskie insists that the employee morale at TOMS is phenomenal. "..how could you be down when you know everything you do makes children happy?" he has said. Attach a Story to Your Product: Give your customers a story that they can retell again and again. These shoes (and glasses, and all the other TOMS merchandise) are unique enough and stylish enough to appeal to the modern consumer, young and older. Purchasers can boast about the fact that they are from TOMS, and here is what it means. Buyers feel good about their purchase and want to tell their friends. TOMS merchandise is fresh and creates buzz. What Does the Sarbanes-Oxley Act Have to Do With My Nonprofit?